When Jersey Shore residents, and the nation, look back on Superstorm Sandy, three iconic images will come to mind: the Jet Star roller coaster sitting on the ocean floor, the Mantoloking Bridge half-covered by seawater at the ocean breach, and rows of charred homes in Camp Osborn. 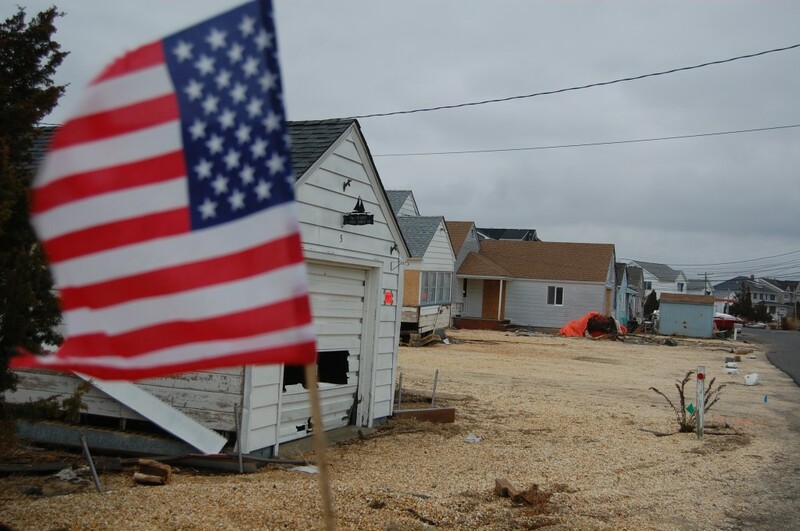 Though it was featured, albeit briefly, on CNN while they interviewed me in the aftermath the storm for some perspective from a local reporter, the image I always think back to was a tattered American flag attached to a mailbox of a home in Shore Acres. By Oct. 31, 2012, the flood water there had receded just enough so that my SUV could make it to the tail end of Drum Point Road and around the circle to Paul Jones Drive. The home which the mailbox was posted in front of was in tatters. The landscaping – probably neatly kept stones and dune grass a few days earlier – was a slurry of mud, sand and whatever else washed up. Down the street, a neighbor told me that a mailbox bolted to a piece of someone’s porch washed up behind his house. 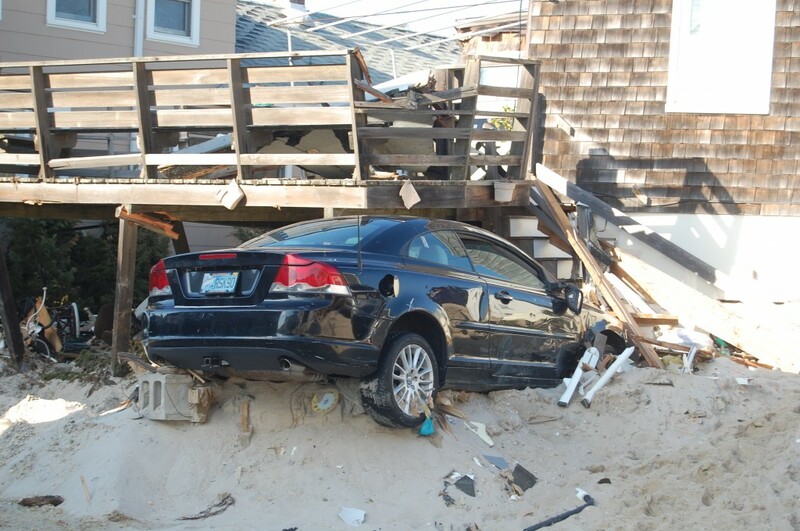 There was dry mail still inside – sent to an address in Seaside Heights. Somehow, the little American flag survived. I snapped a quick picture of it with my cell phone and have used it on Facebook, in stories and blog posts since the storm. I went back to the home about a month later and took a better quality photo with my professional camera. Today, the flag, the mailbox and the house that went with it are all gone. There’s a huge house going up in its place, a perfect illustration of the transformation of Brick Township, just like the elected officials at the time predicted. Then-mayor Steve Acropolis, who himself helped evacuate many of his neighbors using a small inflatable boat, told me in the days following the storm that much of Brick would soon begin to resemble the Outer Banks of North Carolina, known for its large homes lifted up on pilings. Yesterday, I asked our township’s business administrator, Joanne Bergin, for a tally of how many homes have been demolished and how many homes have been raised in Brick since Sandy struck. She connected me with the building department, where the numbers had already been crunched. 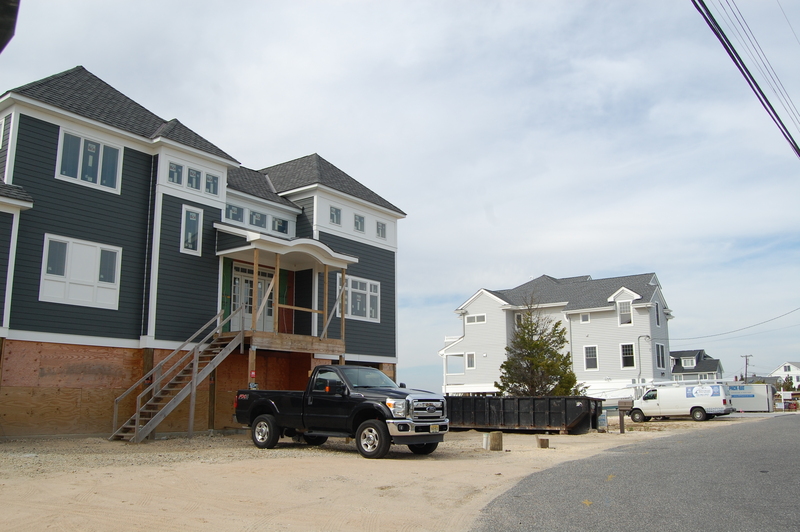 In all, demolition permits have been issued for 396 homes and 163 permits have been issued for homes to be raised. For some township residents, rebuilding is still a dream, and life has not yet returned to normal. Nick, a longtime Camp Osborn resident who is also a nationally-recognized recreational fisherman, kept an online journal of Sandy’s landfall, a chilling account of how jokes about fall fishing and hurricane parties turned to terror in a matter of a few hours. “We’ve been through this scenario before dozens of times, as the seas tongue at the dunes, licking them away piece by piece, sometimes half the dunes can be wiped out like in the February Blizzard of 2003, but we always know we’ve got that protection, and nothing in history has ever told us different,” Nick wrote at 12 noon, Oct. 28. 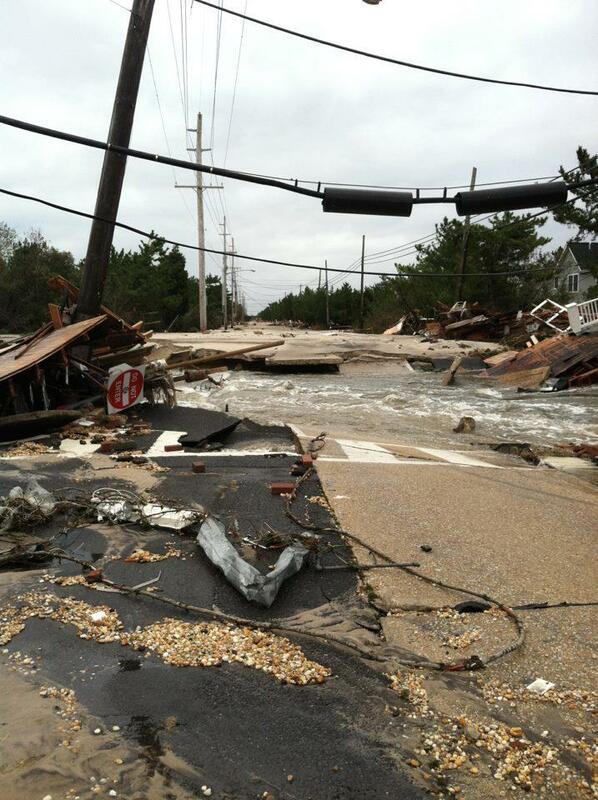 By 6 p.m. that night, it was clear this wasn’t like anything the Jersey Shore had seen in a long time. This wasn’t meant as a column to talk about resilience, Republican-versus-Democrat recovery plans or global sea level rise, nor is it a rah-rah cheer to celebrate rebuilding – as rebuilding comes with both winners and losers. There will be plenty of time for that as the press releases, quotes, Monday-morning-quarterbacking and photo opportunities emerge as the day goes on. 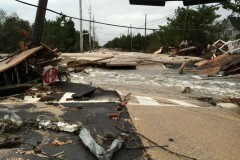 This is simply a recognition of how Brick, and the Jersey Shore, changed in a matter of hours. Let’s hope the changes we make in the storm’s wake – as individuals and members of a community – are ultimately for the better.